All DICTATOR productions are located in Western Europe. They are actively involved in the DICTATOR network. In case of complex inquiries the members of the technical customer service are in direct contact with the respective team members of the production. Together they can elaborate optimal solutions for the problem. When looking for solutions, the focus is not only on the technical feasability but also on an economic production – also for custom-made single units. All DICTATOR productions are family-run, medium-sized, manageable units, which ensure the necessary flexibility and ability to react at short notice on special requests. All co-workers identify wholeheartedly with the DICTATOR group and closely cooperate also on a transnational level. Regular exchanges and the available special knowledge contribute to continuously improving our production processes and our product quality. 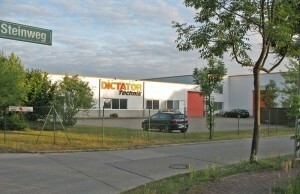 The DICTATOR productions are also sales offices for the respective areas. This provides them with the so enormously important direct contact with the market. Thereby they get the direct feedback of the customers on our products and their applications, which finally results in new suggestions and ideas for more problem solutions. Our production sites are equipped with ultra-modern machinery, which ensures a state-of-the-art production of all DICTATOR products. The quality of our products ensure controls integrated in the fabrication process and additional endurance tests, load tests and where required, supervision by external institutes. Each location is specialized in certain products of the DICTATOR product line and in this sector has the best know-how of the products and their production. Have a look at the companies where the DICTATOR products are made. Here are made customized gas springs, dampers, door closers for gates and many different special solutions. They use the most modern equipment as CNC machines and measuring devices for calculating the gas springs. 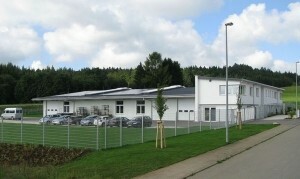 DICTATOR Technik Berlin also operates as representation for the post code areas 00-19, 38-39 and 98-99. The know-how built during decades together with commitment and enthusiasm for the new facilitates enables DICTATOR Productie to master the splits between highest quality, flexibility and economic production. Their products are permanently subject to endurance and load tests in their in-house testing centre, because stability and long-life cycles are basic quality features of all DICTATOR products. Especially in the field of operating systems the name DICTATOR stands for innovative, customized solutions. This requires the production to understand the respective application, to have many ideas and the best technical know-how to elaborate appropriate solutions and to realize their perfect fabrication. HAUG Antriebssysteme meets all these requirements in the very best way. 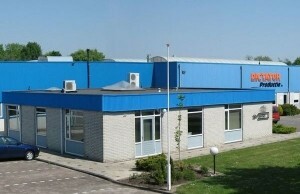 The subsidiary company founded primarily as a mere sales office for the Spanish market, became thanks to its own engineering department over the years a specialist for complete lifts. 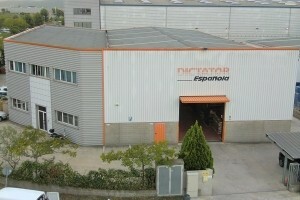 The high-quality and very durable lifts and shaft systems made in Spain are sold by the DICTATOR group all over Europe and enjoy a very good reputation in the market. 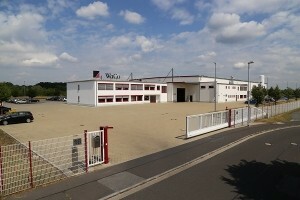 WaCo – Services in sheet metal and more or high-tech production engineering with much know-how, dedication and inventiveness. For the DICTATOR group WaCo makes the complete range of electromagnets with counter plates and the interlock control system, developed by them. Of course, also many casings of other DICTATOR products are made by WaCo.